Killed in action during the second battle of the Marne near Chateau Thierry, July 15, 1918. In the summer of 1917, he attended the Princeton Summer Military camp, and entered the Second Officers' Training Camp at Fort Oglethorpe, Ga., in the fall. 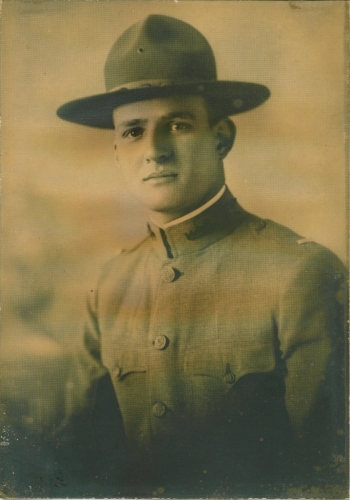 He was commissioned a First Lieutenant, November, 1917, and was assigned to the 30th U. S. Infantry, 3rd Division, then training at Camp Green, N.C. He went overseas in April, 1918, and in June, Following the German drive on Paris from the Chemin des Dames, his regiment was rushed into the lines on the bank of the Marne near Chateau Thierry to await the launching of the last great German offensive, July 15, 1918. The advanced position held by his men received the full shock of the onslaught and as casualties depleated the ranks, he found himself, with one of his men practically alone and isolated. Holding their ground and fighting valiantly, they withstood the German masses until their ammunition gave out when they were surrounded and killed. For this act of extraordinary heroism, he was awarded, posthumously, the Distinguished Service Cross from the American Government and the Croix de Guerre with palm, from the French. Since our charter in 1919, our American Legion Post has been welcoming VETERANS from all branches of our Armed Forces. Today, we continue to welcome all military personnel serving our country. Joining our Post enables you to continue serving your God, Country and Community Our mission is to implement the goals, aspirations, dreams, peace and blessings for our country, friends and families embodied in our preamble below. To the wonderful patriotic citizens of the WYNDMOOR community. Join our Post as a Booster or sponsor. Contact one of our Officers to do so. 100% of the monies raised are given back to the community. Help us to continue sponsoring Scholarships for our children; continuing the Memorial Day Parade tradition; give aid and assistance to our local needy Veterans and their families. Help us to continue to support financially worthy community programs and projects. FOR COMPREHENSIVE INFORMATION ABOUT WHAT THE AMERICAN LEGION OFFERS AND IT'S MANY PROGRAMS , GO TO THE NAT'l HEADQUARTERS LINK IN THE MENU BAR. 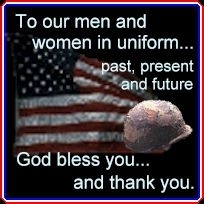 We are on FACEBOOK at: "American Legion Post 100 PA"